Our vision has always been to make music which has a therapeutic effect on the people who hear it. This vision has led us to a variety of beautiful instruments and sounds. 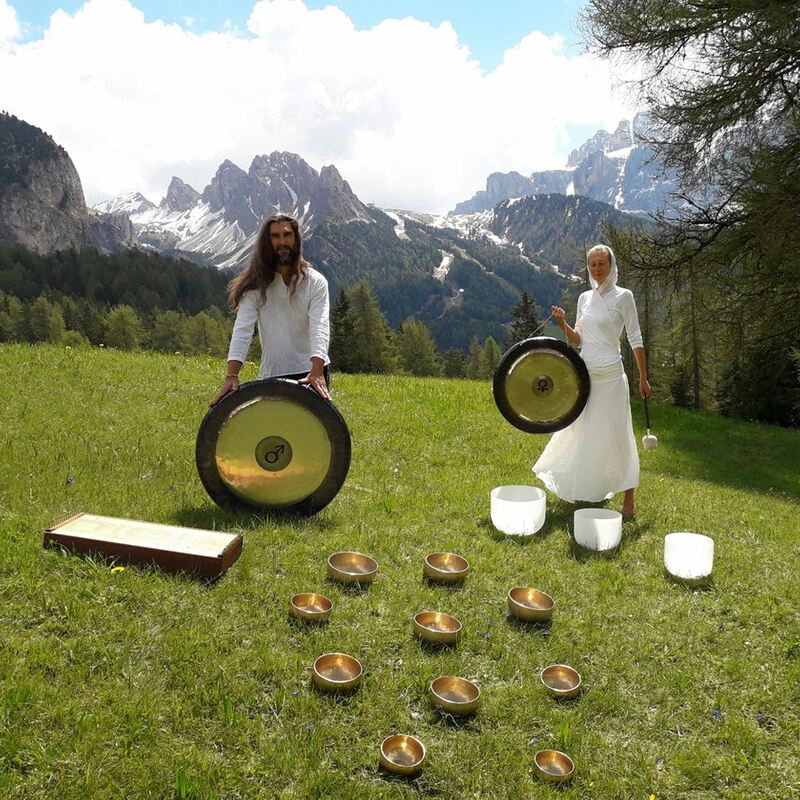 We use Singing Bowls (Tibetan and Crystal), we play Monochords, we play and make Ocean -and Frame Drums and we often introduce other holistic instruments when the feeling is right. The foundation of lots of our music is the Gong. We learned about the art of gong playing from the great gong master Don Conreaux - A Yogi Bhajan disciple. We have also studied sound massage courses with Tibetan monks - including the techniques of "Sound Bath" and "Contact massage". Most recently in 2017 we did a course in Music Therapy with EMTA (Estonian Music and Theater Academy). The foundation of lots of our music is the Gong. The Gong is an incredible tool for transformation.